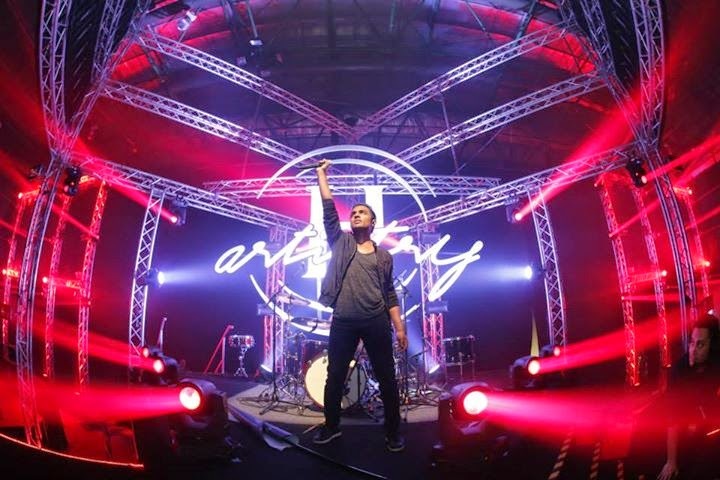 H-ARTISTRY KL 2014 DELIVERS AN ASTOUNDING FINALE, RAISING THE EXPERIENCE TO DIMENSIONS UNLIKE ANY OTHER…. 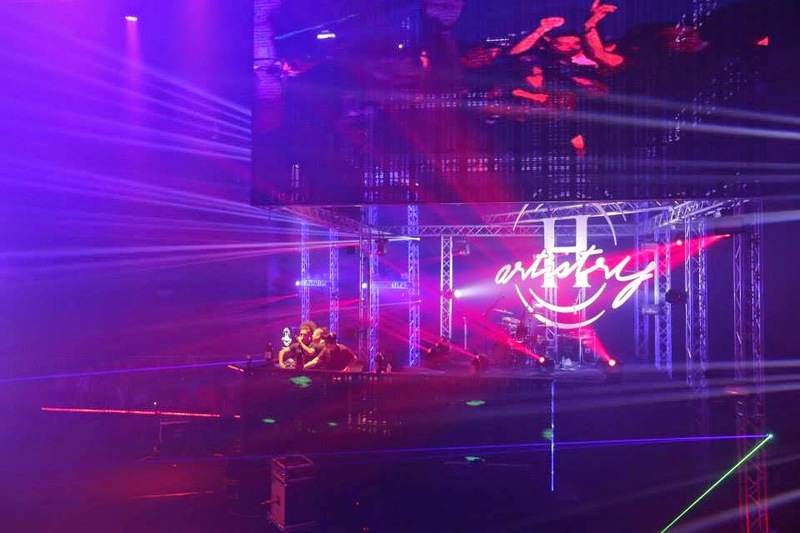 H-Artistry 2014 – The Global Art of Mixing, shook the grounds of KL once again, this time treating partygoers to an epic night of stunning performances and hard pumping beats. The super-clubbing experience took it up a notch in this instalment, delivering a world-class production unlike any other and showcasing an outstanding visual innovation, pulling off yet another unmatched party experience of 2014. The stage at the Malaysian International Exhibition and Convention Centre (MIECC) saw a diverse mix of musical genres on the night of 15 November, which included artists from both East and West, showcasing their unique sounds and coming together in one-night-only collaborations. The stellar line-up of the night comprised headliner, London born international award winning artist, Tinie Tempah, Japan’s newly formed mainstream group, CREAM and the pop duo consisting of Malcolm Kelley and Tony Oller, or better known as MKTO as well as local represents, Paperplane Pursuit and Imma *Bleep* YouUp. Party goers arrived at the venue in accordance to the theme of the night, glam red, only to be amazed by the awe-inspiring night that awaited them. The evening kicked off at 7.00pm where Zher, host of the night welcomed partygoers to the H-Artistry Art of Mixing Zone. 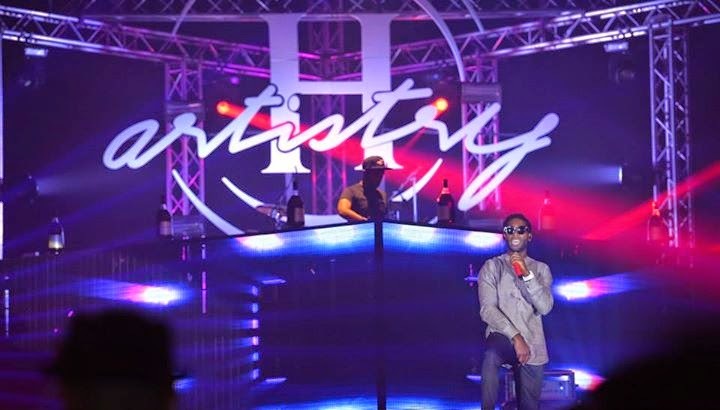 Boasting a new element to the H-Artistry series was the H-Zone where partygoers were immersed into a heightened brand experience of sight, sound and taste. Partygoers were then invited to step into the main party arena where an amazing set-up and stage design greeted them. Counting down to the first performance, the atmosphere intensified following the opening sequence of a stunning L.E.D visual accompanied by a striking laser show, building up the energy levels in the arena. Opening the night impeccably was non other than Malaysia’s pop trio Paperplane Pursuit, who took the stage with hits such as “Everybody Wants Somebody” and “Higher”. The crowd broke into a louder cheer as the trio delivered their famous number ‘Beat of Your Love’, certainly showcasing a confident stage presence by the band and striking vocal abilities of lead, John Oommen. The new age J-Pop / Hip-Hop duo, CREAM continued to boast a brilliant performance on the H-Artistry stage with hit tracks ‘Kissing’ and ‘Party Chaka Man’. ‘Stay’ was also an infectious track with the crowd, garnering enthusiastic cheers and echoing lyrics. The duo, Staxx T and Minami ended on a high note with the famous track ‘Shooting Star’ to keep the energy in the arena pumping. The next artist to take the stage was MKTO, the musical duo consisting of Malcolm Kelley and Tony Oller. The crowd went into a frenzy as they performed famous hits such as ‘Thank You’ and ‘American Dream’ as well as ‘Black or White’ (originally by Michael Jackson) in a surprise collaboration with Paperplane Pursuit. The artistry was pure genius from these two pop artists. As MKTO bowed out, Tinie Tempah was the next artist to grace the stage proudly as the headliner of the night. Screams of excitement began to echo the arena as Tinie delivered his proficient set with famous hits ‘Pass Out’ and ‘Written in the Stars’. The British rapper enraptured the crowd, ending his set with an up-tempo track ‘Tsunami’, raising the excitement levels and deafening cheers. H-Artistry’s momentum hit an ultimate high as the electro house trio, Imma *Bleep * YouUp took the stage with a dramatic entrance of laser lights and eccentric graphics on the LED panels. The euphoria heightened as the crowd was fuelled with the stellar administration of Imma *Bleep* YouUp’s fist-pumping tracks. The trio were then joined by Paperplane Pursuit to perform the two singles live for the very first time, ‘Chasing Dreams’ and ‘Live Forever’. 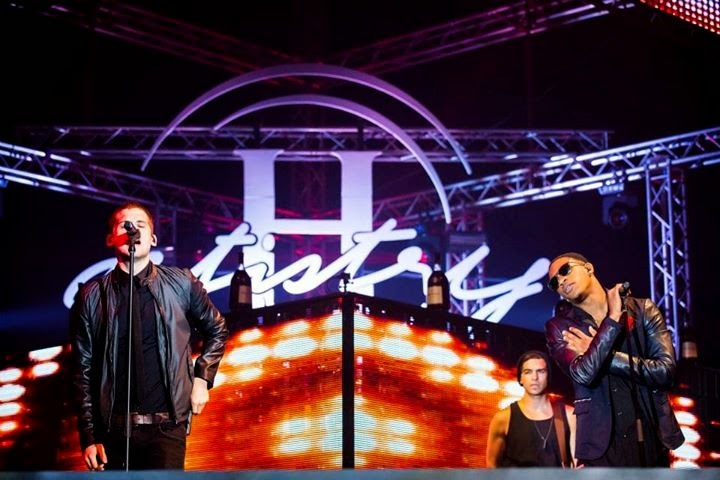 Inspired by H-Artistry’s very own unique Global Art of Mixing platform, the tracks prompted an exhilaration as our local heroes gave the partygoers their all. 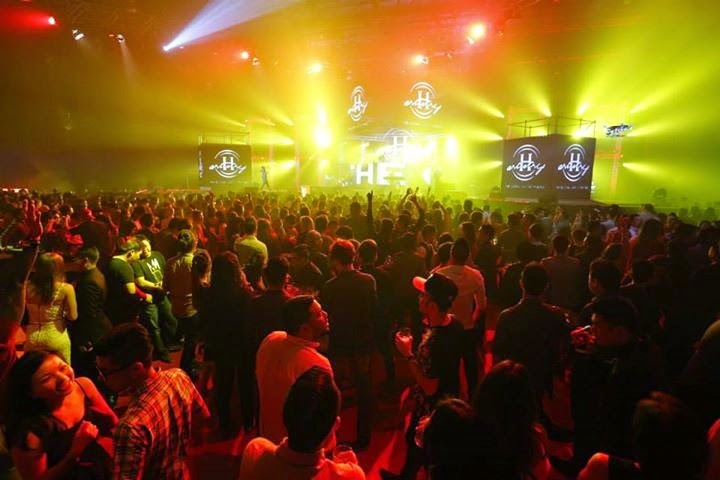 H-Artistry KL 2014 at MIECC was nothing short of a truly sensational night befitting an epic finale of the series of super-clubbing parties for 2014. The phenomenal platform of H-Artistry continuously strives to improve and diversify to bring Malaysians an experience worth remembering. H-Artistry events are by-invite-only, and are open to non-Muslims aged 18 above. Keep it locked on www.h-artistry.com.my for updates on future H-Artistry events slated for 2015.